JLPT Registration for December 2018 is now open. For people who want to take the test at Singapore, please visit the website https://www.jcss.org.sg/jlpt%20Aug and follow the instructions. The registration ends on 2 September 2018. Once, my student asked me to write a haiku. A haiku is a traditional form of Japanese poetry. The haiku poems consist of three lines. The first and the last lines of a haiku have five syllables and the second line has seven syllables. The lines rarely rhyme. If you would like to play language game with Primary school students, haiku is a good option. It is short and seldom rhymes, so it is easy for beginners to start making poems of their own. On 18 March 2014, I woke up early to go to Bishan. 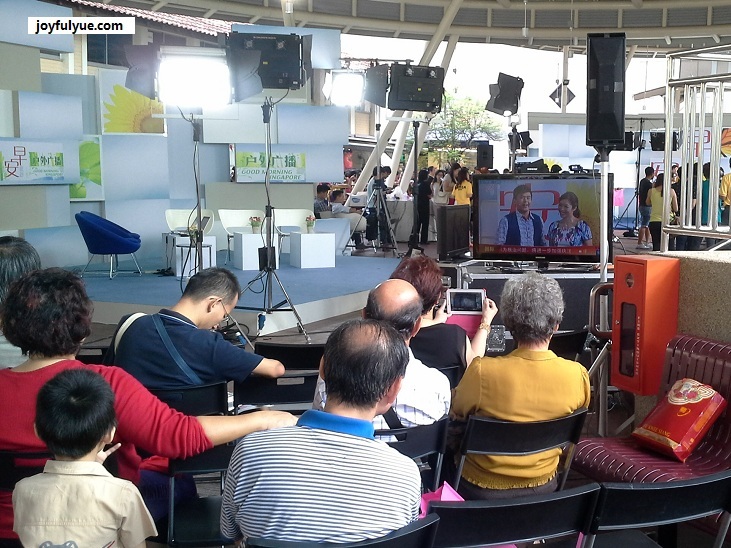 Good Morning Singapore was having its second day of outdoor broadcast beside Block 509, Bishan Street 13. I reached 7.25am. There were not too many people because it was a working day. I believe most of the people there are retirees or housewives. 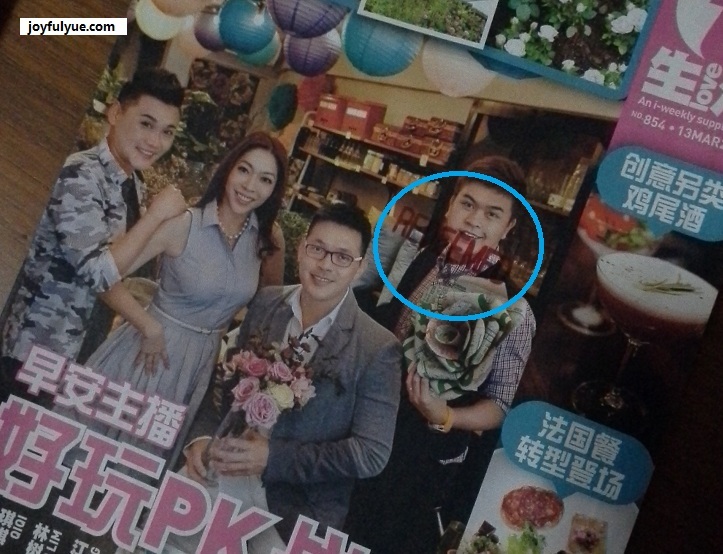 How did I go there from Simei? I can reach there in around one hour if I transfer to Circle line at Paya Lebar. Nonetheless there is free MRT ride if you tap out before 7.45am. 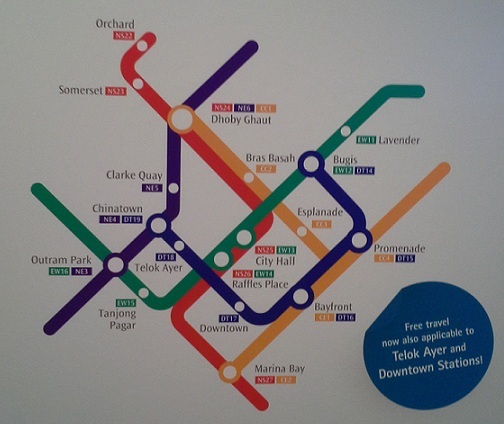 The nearest MRT station to Bishan station with free ride is Orchard station. Thus, I use the longer but cheaper way to go to Bishan station. I am timid, shy and scared. I redeemed my free breakfast: a cup of tea and a slice of bread. I stood at a corner, enjoying my breakfast and taking pictures occasionally. 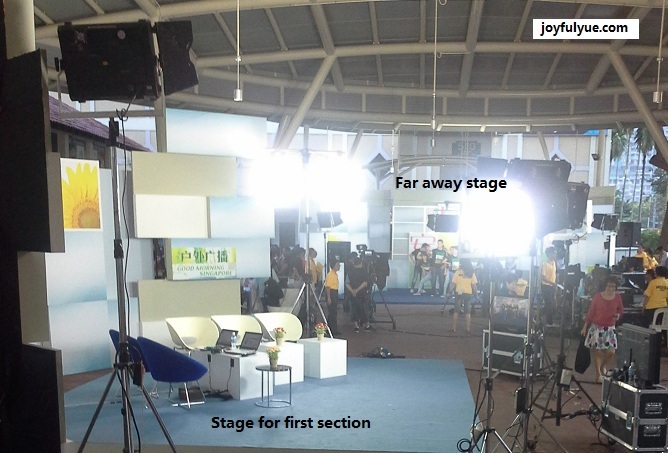 At the second section, they went to the far away stage. But I stayed at the same spot. Two of the late comers talked to me, I answered them politely. When the marshal offered to let us in, again, I insisted to stay at the same spot. I guess I was too timid to move away from my corner. The people who went in later managed to ask the guests to take pictures with them. It is as simple as planning which route you are going to use to reach your destination. Do you want to save money? Or do you want to save time? If you are an indecisive person, start making decisions for small matters, once you are comfortable with small matters, you will be making better decisions with big matters. On my way back, I took Circle line and transferred at Paya Lebar, saving me around 30 minutes. As long as you do not disrupt the recording, the marshals and the guests are happy to attend to your requests. Well, if only you make the request. A person who stands in the corner and makes no request, like me, will get the experience of “been there, done that”. Whether you like it or not, there are different types of people out there. I am an introvert, I do not initiate conversations with strangers, but I like to observe people. There is no right or wrong. Knowing the fact that there are different types of people makes you more acceptive towards people and life. 早安您好 — Good Morning Singapore. 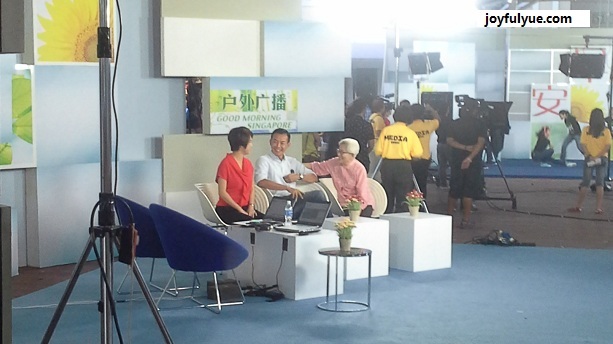 It is a Chinese TV programme in the morning on Channel 8. I obtain a lot of information from watching the programme.